More than meets the eye! It's a world where things are not what they seem. It's a world of heroic Autobots and evil Decepticons who are known as...the Transformers! We have a large selection of new, used, and vintage Transformers, as well as Transformers comic books and graphic novels. 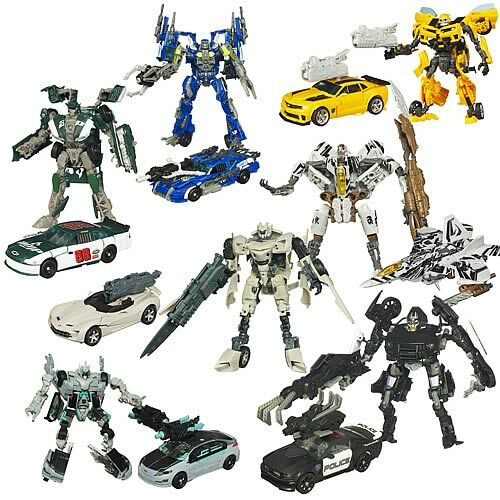 We have a large selection of new Transformers. We carry Dark of the Moon, Classics/Universe, Reveal the Shield, Gravity Bots, Power Core Combiners, and more. 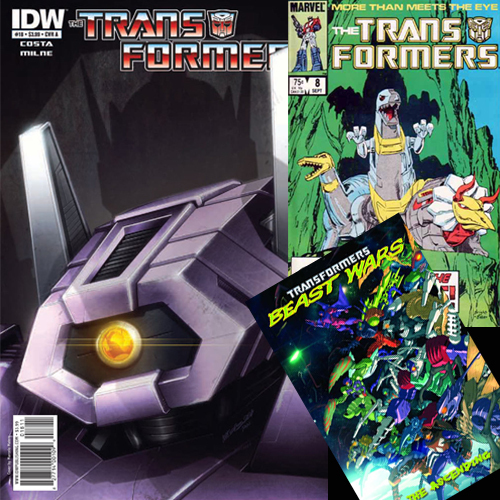 We carry all new Transformers comic issues produced by IDW Publishing and have back stock on past issues. We also have a good selection of graphic novels and vintage Transformers comic books by Marvel. A unique feature of Toy Traders is that we sell hard to find Transformers. 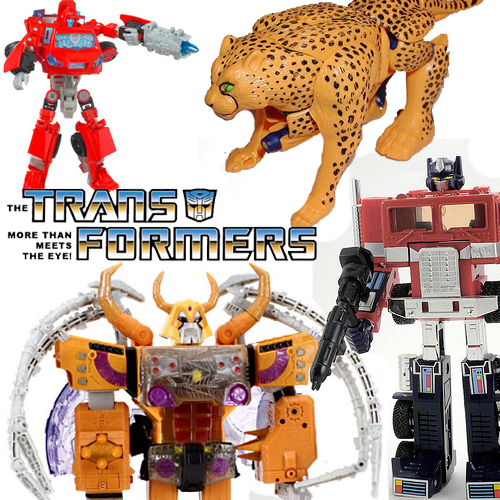 We carry used Transformers from the 1980's, Beast Wars, Beast Machines, Armada, Energon, Cybertron, etc... As these items are not new, our selection is always different.